During this process, I bought a new sewing machine. I spent a good bit of time checking them out and finally bought a Bernina 750 QE. It is a wonderful machine and does all the things I had on my list…cuts the thread, threads the needle, lots of space for quilting. I’m slowly learning how to use it. Right now it’s just straight stitching. Here is a picture of the quilt top before I sewed it together. I spent a lot of time deciding on what block went where. 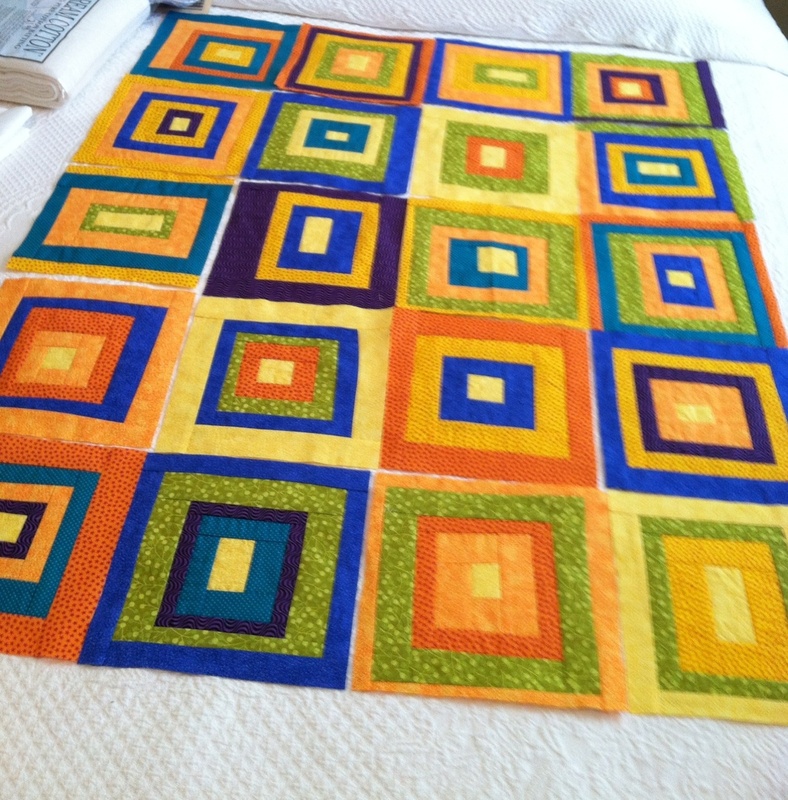 I took this picture on my phone so I could refer to it as I sewed the blocks together. 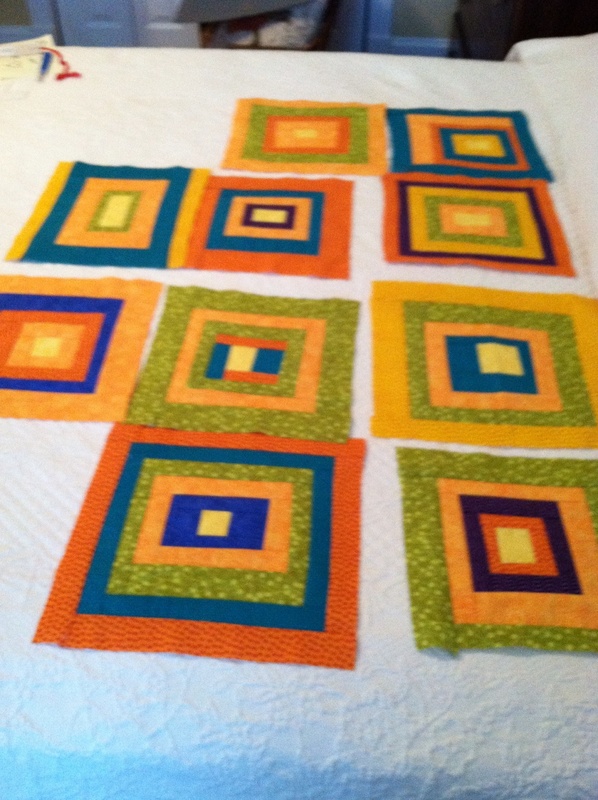 Each row has four 9.5 inch blocks and there are five rows. The finished top is 37″ by 46″. I decided not to put sashing between the blocks because I wanted an overall wonky look. So, this is the first baby quilt top. I am now working on the back. I’ll show you how it looks on the next post! This entry was posted in Uncategorized and tagged Beginning quilting, Craftsy, Log Cabin quilt, Modern Quilting, Quilting, Wonky, Wonky Log Cabin. Bookmark the permalink. Diane, I’m loving your blog. I’ll think about being a guest. Gotta practice what steps I took! Thanks, Jessie. I’m having fun.